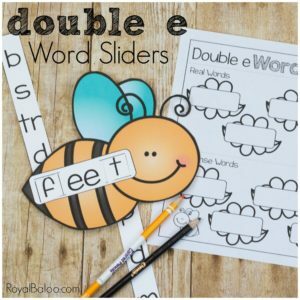 This bee themed double e word slider is perfect for reading practice with those tricky double e words! 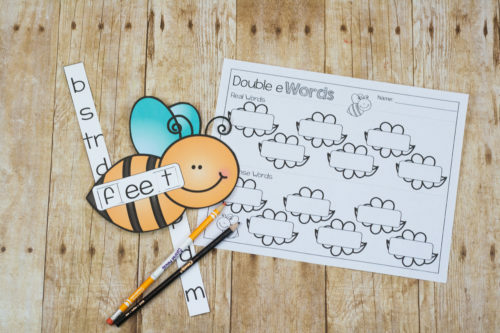 Make the words and record them on the double e sheet!Working on some of these skills for learning to read can be sort of complicated. I don’t really remember learning to read – it just comes naturally at this point. So going over the sounds of long e was a bit intimidating. This printable is part of bug week with Cassie and Deidre! It is just day 2 so make sure to come back for the rest of the weeks printables! Or sign up for the newsletter and get all the info in your inbox on Thurs-ish! The idea behind this printable is just fun practice. Simply cut out the bee and the little slits for the slider. Slide the extra letters in so you can see the letters in the little window. Then slide the letters up and down and see what words you can make! Start with just the slider on the left first to find all the words without an ending consonant. 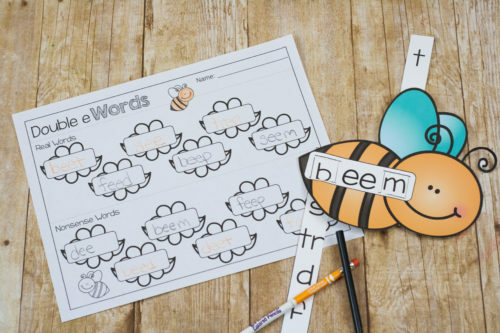 There is an included recording sheet so you can make words, determine if they are real or nonsense, and write them down. 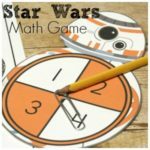 You can ever have a race to see if you’ll finish the real or nonsense words first! I think reading some nonsense words can help to ensure kids are sounding out words and not just reading them. We don’t use nonsense words often, but sometimes they are good for that clarification. Having said that, you may encounter some nonsense words that are homophones for real words, like seet. It would be a good conversation starter for homophones, if nothing else.